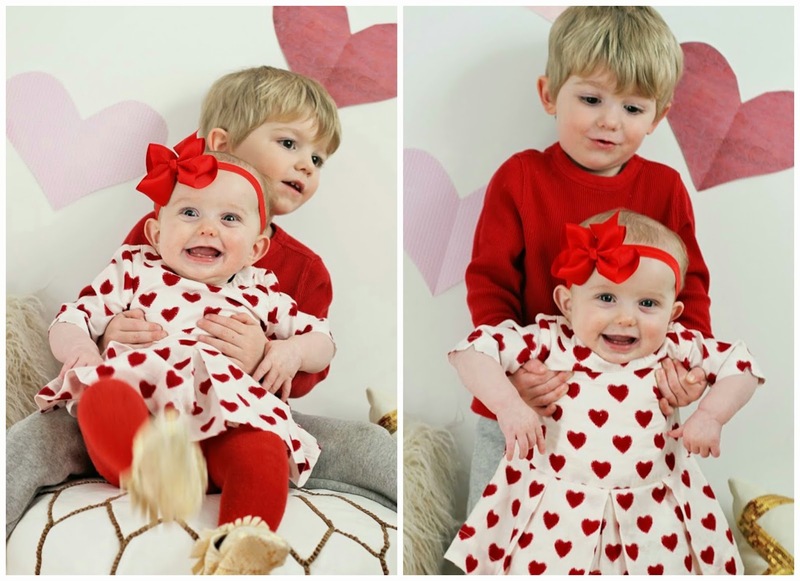 Wishing you a very happy Heart Day, from these two little love bugs. This post is made possible by the good people that make Skittles, Starburst, M&Ms, Smarties, sweet tarts, gummy worms and cookies (aka SUGAR!!!!). 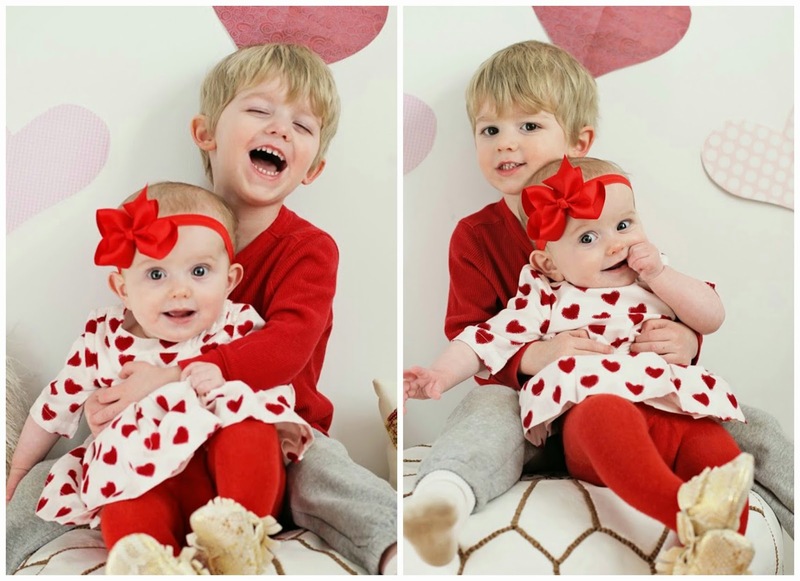 OMG, they are the cutest siblings ever. How do you STAND it??!? Oh, they're awesome. I love these pictures! They are the CUTEST! Love the photos!! They both did so good and you have so many adorable shots! My photo shoots never go that well and i just have one! These are SO stinkin cute!!! Happy Valentines Day! not sure if I can handle all the sweetness! so precious! These pictures just made my day! So sweet! Oh my goodness, doesn't get any cuter!!! 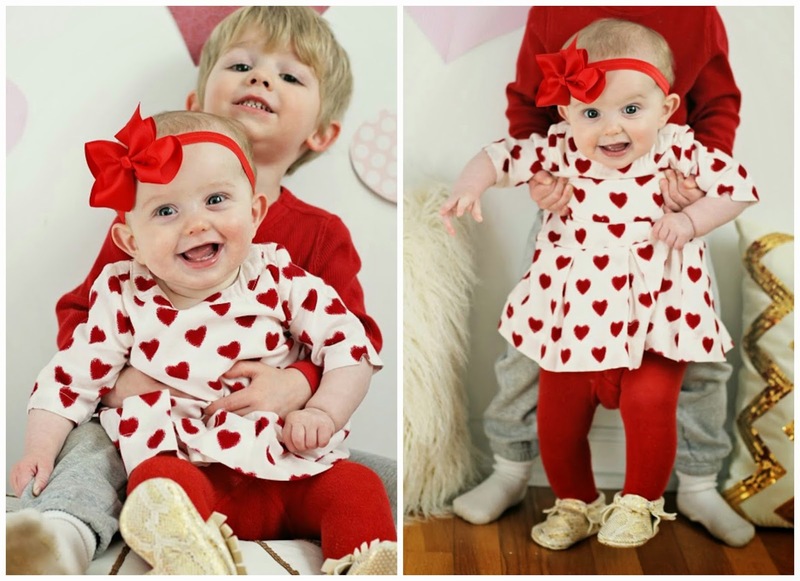 Absolutely Adorable Pictures of your Lil Sweet Hearts! Happy Valentine's day!!! Hahahaha about that last sentence! So you took these yourself?? Adorable! Mim looking up at her big brother --- heart exploded. 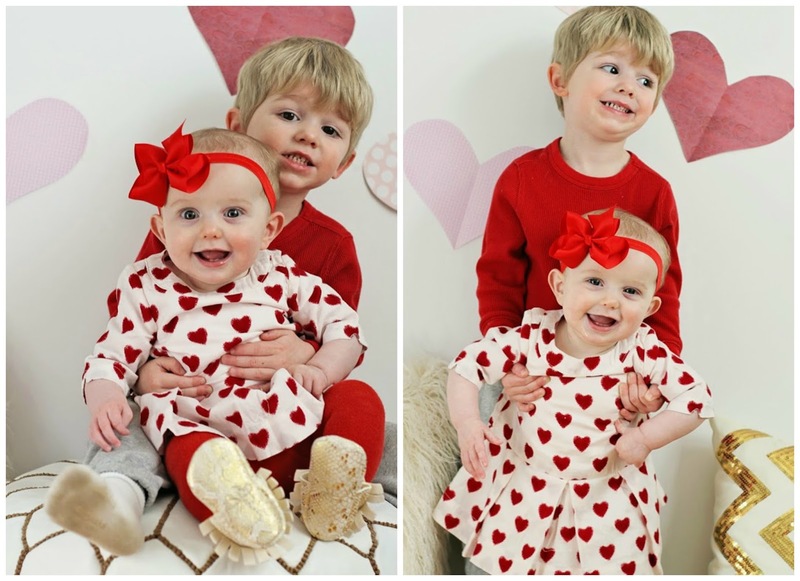 Oh my gosh these are some of the cutest pictures ever. So sweet!! 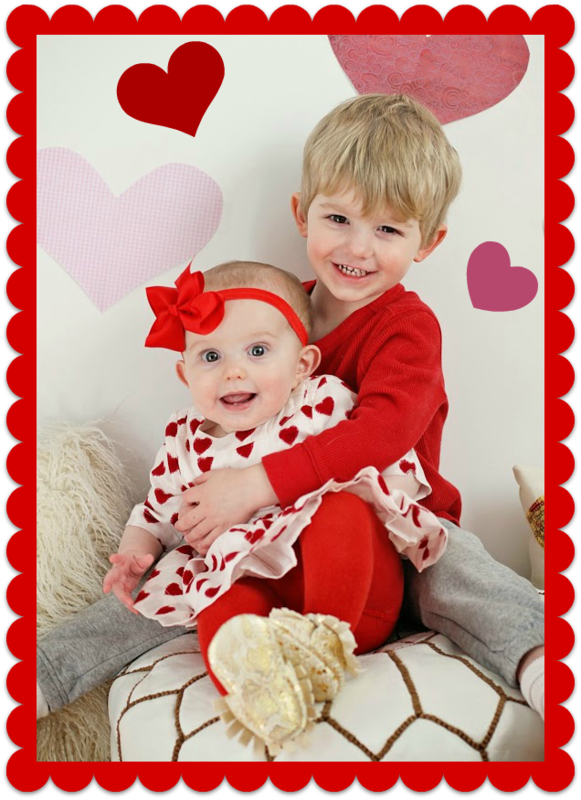 Happy Valentine's Day to those two sweethearts!!!! 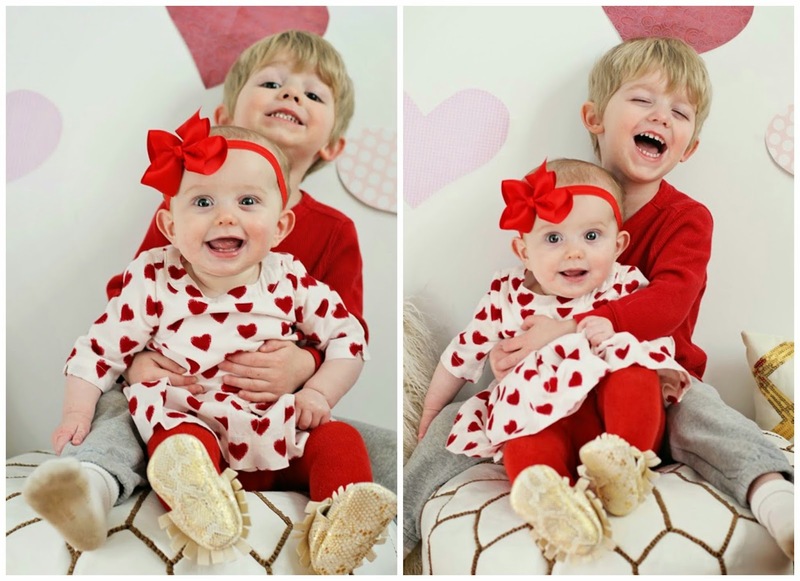 Love these sweet smiles!! 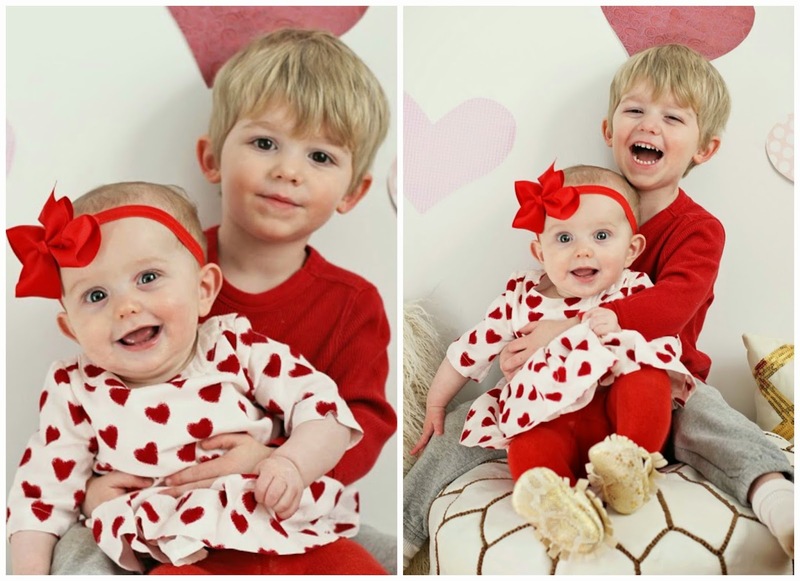 CUTEST kids EVER! 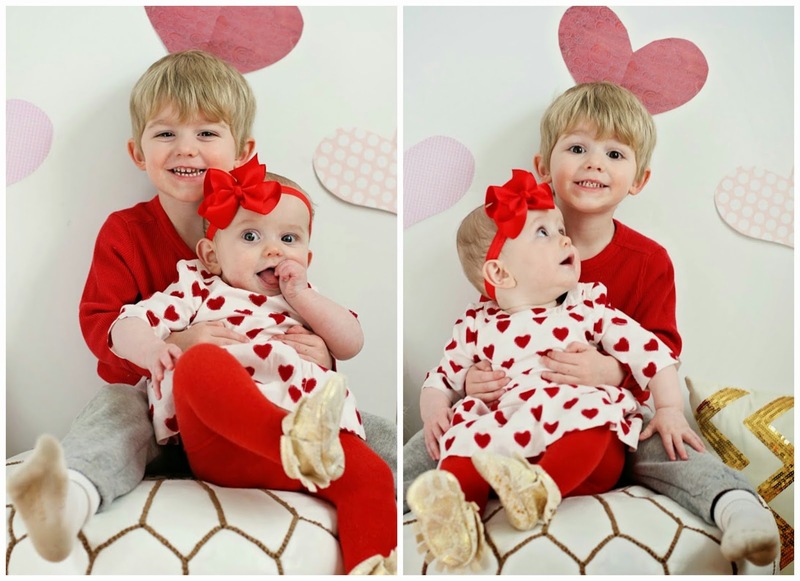 Hope you guys had the BEST valentine's day! PRECIOUS!!!! They are an adorable twosome! !